FROM THE MAIN OFFICE OF THE McHAWES WORLD HEADQUARTERS: The world and how I see it. A place for me to express my thoughts, views and opinions. Most of them will probably not be politically correct. It's not that my opinion matters. I love to write, read, smoke cigars, smoke my pipe and be a Dad to my 3 children. 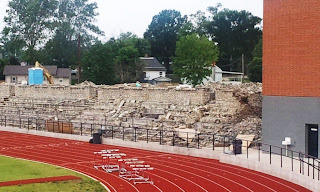 In addition to getting a new High School building, the Stone Bleachers of Herculaneum High School are getting a face lift also. I will admit when I drove by the other day and saw the shape of the bleachers, I hit the panic button. 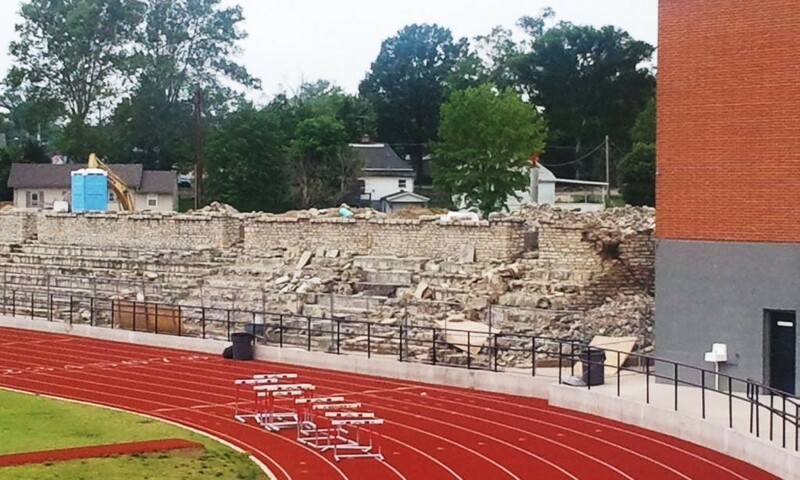 I made a quick call to Coach Cook and he assured me the bleachers were just getting a little repair work. This is the picture of the day.